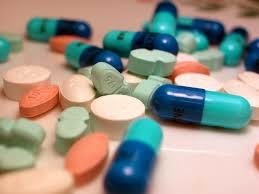 When I was younger I didn't know anything about medications and I don't think too many other people did either. When you went to the doctor he gave you some medicine, which you hoped would take care of what ailed you. Most likely you didn't even know the names of the medications and didn't worry about side effects. All of this has changed in the past few years with drug companies advertising their products. Every day we are bombarded by ads for medications for conditions including hay fever, ED, bronchitis, diabetes, atrial fibrillation and a myriad of other diseases. I think these commercials go right over the heads of most viewers, unless they are suffering with one of these conditions. So basically they are ignored by most of us. But what about those people who have a disease and may benefit from taking one of these advertised drugs? The commercials always show patients, who are supposedly taking the medications, as happy go lucky, smiling and sociable and without pain. The announcer suggests that you could be helped by these wonder drugs and tells you to ask your doctor about them. Then after you are told how wonderful the drugs are the announcer goes on to warn you of the possible side effects. These warnings include the possibility of stroke, heart attack, blindness and my favorite, "even death". The announcer even warns you not to take the medication if you are allergic to it. How in hell are you going to know if you are allergic to it unless you know the patented scientific name of the ingredient or unless you give it a try to see what happens? I have breathing difficulties and have seen ads for medications that might possibly help me, but I admit that the possible complications would be much worse than having some difficulty breathing. I would think that a lot of people would be terrified to try these medications, for fear of death. I previously wrote a post on the high cost of drugs in this country, I've Been Ripped Off by the Big Drug Companies, which leads me to make a point on that high cost here. Drug advertising is extremely expensive on TV, the Internet and in magazines. So who's paying for this expensive advertising? We are, through increased cost of the drugs we buy! Every time you see one of these ads, just remember that even though you aren't suffering from that particular disease, you are paying for that ad when you buy another medication! Now that should make you sick!